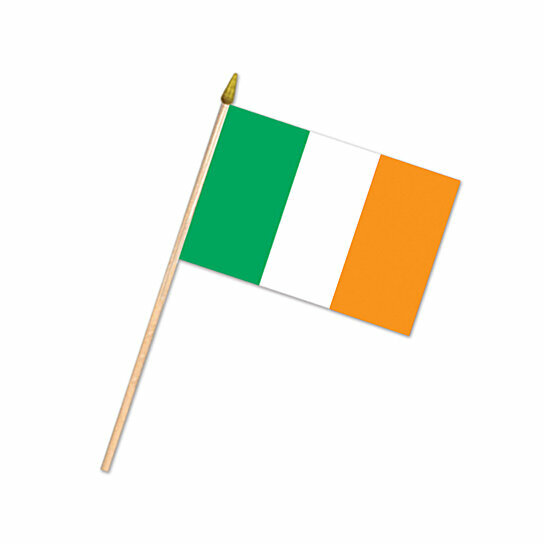 Irish Flag - Rayon. with 10.5 Spear-Tipped Wooden Stick. Size: 4" x 6"